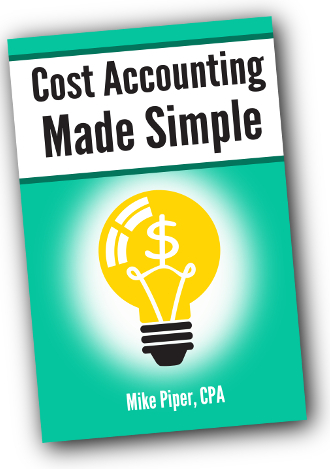 The following is an excerpt from Accounting Made Simple: Accounting Explained in 100 Pages or Less. Intangible assets are real, identifiable assets that are not physical objects. Common intangible assets include patents, copyrights, and trademarks. Example: Kurt runs a business making components for wireless routers. In 2008, he spends $60,000 obtaining a patent for a new method of production that he has recently developed. The patent will expire in 2022. Even though the patent’s legal life is 14 years, its useful life is likely to be much shorter, as it’s a near certainty that this method will become obsolete in well under 14 years, given the rapid rate of innovation in the technology industry. As such, Kurt will amortize the patent over what he projects to be its useful life: four years. Amortization is the process in which an intangible asset’s cost is spread out over the asset’s life. The time period used for amortizing an intangible asset is generally the lesser of the asset’s legal life or expected useful life. "A quick tour of the ins and outs of accounting. Great introduction on the basics and keeps it simple. Short enough to be read in a day. I highly recommend this to any one looking for a crash course in accounting. " When a company buys an asset that will probably last for greater than one year, the cost of that asset is not counted as an immediate expense. Rather, the cost is spread out over several years in a process known as depreciation. The most basic form of depreciation is known as straight-line depreciation. Using this method, the cost of the asset is spread out equally over the expected life of the asset. Example: Daniel spends $5,000 on a new piece of equipment for his carpentry business. He expects the equipment to last for 5 years, by which point it will likely be of no substantial value. Each year, $1,000 of the equipment’s cost will be counted as an expense. Accumulated Depreciation is what’s known as a “contra account,” or more specifically, a “contra-asset account.” Contra accounts are used to offset other accounts. In this case, Accumulated Depreciation is used to offset Equipment. Have a record of how much depreciation has been charged against the asset already. After making this entry, there will no longer be any balance in Equipment or Accumulated Depreciation. What if a business plans to use an asset for a few years, and then sell it before it becomes entirely worthless? In these cases, we use what is called “salvage value.” Salvage value (sometimes referred to as residual value) is the value that the asset is expected to have after the planned number of years of use. Example: Lydia spends $11,000 on office furniture, which she plans to use for the next ten years, after which she believes it will have a value of approximately $2,000. The furniture’s original cost, minus its expected salvage value is known as its depreciable cost—in this case, $9,000. Determining whether to make a gain entry or a loss entry is never too difficult: Just figure out whether an additional debit or credit is needed to make the journal entry balance. In addition to straight-line, there are a handful of other (more complicated) methods of depreciation that are also GAAP-approved. For example, the double declining balance method consists of multiplying the remaining net book value by a given percentage every year. The percentage used is equal to double the percentage that would be used in the first year of straight-line depreciation. Example (continued): Because the equipment is being depreciated over five years, Randy would record $1,296 (that is, 2,160 – 864) of depreciation expense in the fifth year in order to reduce the asset’s net book value to zero. Another GAAP-accepted method of depreciation is the units of production method. Under the units of production method, the rate at which an asset is depreciated is not a function of time, but rather a function of how much the asset is used. Example: Bruce runs a business making leather jackets. He spends $50,000 on a piece of equipment that is expected to last through the production of 5,000 jackets. Using the units of production method of depreciation, Bruce would depreciate the equipment each period based upon how many jackets were produced (at a rate of $10 depreciation per jacket). The concept of materiality plays a big role in how some assets are accounted for. For example, consider the case of a $15 wastebasket. Given the fact that a wastebasket is almost certain to last for greater than one year, it should, theoretically, be depreciated over its expected useful life. Straight-line depreciation is the simplest depreciation method. Using straight-line, an asset’s cost is depreciated over its expected useful life, with an equal amount of depreciation being recorded each month. Accumulated depreciation—a contra-asset account—is used to keep track of how much depreciation has been recorded against an asset so far. An asset’s net book value is equal to its original cost, less the amount of accumulated depreciation that has been recorded against the asset. If an asset is sold for more than its net book value, a gain must be recorded. If it’s sold for less than net book value, a loss is recorded. Immaterial asset purchases tend to be expensed immediately rather than being depreciated. This equation makes perfect sense when you look at it piece by piece. Beginning inventory, plus the amount of inventory purchased over the period gives you the total amount of inventory that could have been sold (sometimes known, understandably, as Cost of Goods Available for Sale). We then assume that, if an item isn’t in inventory at the end of the period, it must have been sold. (And conversely, if an item is in ending inventory, it obviously wasn’t sold, hence the subtraction of the ending inventory balance when calculating CoGS). EXAMPLE: Corina has a business selling books on eBay. An inventory count at the beginning of November shows that she has $800 worth of inventory on hand. Over the month, she purchases another $2,400 worth of books. Her inventory count at the end of November shows that she has $600 of inventory on hand. There is no way to know which items were stolen as opposed to sold, because inventory isn’t being tracked item-by-item. Of course, the calculation of CoGS is a bit more complex out in the real world. For example, if a business is dealing with changing per-unit inventory costs, assumptions have to be made as to which ones were sold (the cheaper units or the more expensive units). EXAMPLE: Maggie has a business selling t-shirts online. She gets all of her inventory from a single vendor. In the middle of April, the vendor raises its prices from $3 per shirt to $3.50 per shirt. If Maggie sells 100 shirts during April—and she has no way of knowing which of those shirts were purchased at which price—should her CoGS be $300, $350, or somewhere in between? The answer depends upon which inventory-valuation method is used. The three most used methods are known as FIFO, LIFO, and Average Cost. Under GAAP, a business can use any of the three. Under the “First-In, First-Out” method of calculating CoGS, we assume that the oldest units of inventory are always sold first. So in the above example, we’d assume that Maggie sold all of her $3 shirts before selling any of her $3.50 shirts. Under the “Last-In, First-Out” method, the opposite assumption is made. That is, we assume that all of the newest inventory is sold before any older units of inventory are sold. So, in the above example, we’d assume that Maggie sold all of her $3.50 shirts before selling any of her $3 shirts. EXAMPLE (CONTINUED): At the beginning of April, Maggie’s inventory consisted of 50 shirts—all of which had been purchased at $3 per shirt. Over the month, she purchased 100 shirts, 60 at $3 per shirt, and 40 at $3.50 per shirt. In total, Maggie’s Goods Available for Sale for April consists of 110 shirts at $3 per shirt, and 40 shirts at $3.50 per shirt. It’s worth pointing out that the two methods result not only in different Cost of Goods Sold for the period, but in different ending inventory balances as well. Under FIFO—because we assumed that all 100 of the sold shirts were the older, $3, shirts—it would be assumed that, at the end of April, her 50 remaining shirts would be made up of 10 shirts that were purchased at $3 each, and 40 that were purchased at $3.50 each. Grand total ending inventory balance: $170. In contrast, the LIFO method would assume that—because all of the newer shirts were sold—the remaining shirts must be the older, $3 shirts. As such, Maggie’s ending inventory balance under LIFO is $150. The average cost method is just what it sounds like. It uses the beginning inventory balance and the purchases over the period to determine an average cost per unit. That average cost per unit is then used to determine both the CoGS and the ending inventory balance. Her total units available for sale over the period is 150 shirts. Her total Cost of Goods Available for Sale is $470 (110 shirts at $3 each and 40 at $3.50 each). The perpetual method of inventory involves tracking each individual item of inventory on a minute-to-minute basis. It can be expensive to implement, but it improves and simplifies accounting. The periodic method of inventory involves doing an inventory count at the end of each period, then mathematically calculating Cost of Goods Sold. FIFO (first-in, first-out) is the assumption that the oldest units of inventory are sold before the newer units. LIFO (last-in, first-out) is the opposite assumption: The newest units of inventory are sold before older units are sold. The average cost method is a formula for calculating CoGS and ending inventory based upon the average cost per unit of inventory available for sale over a given period. 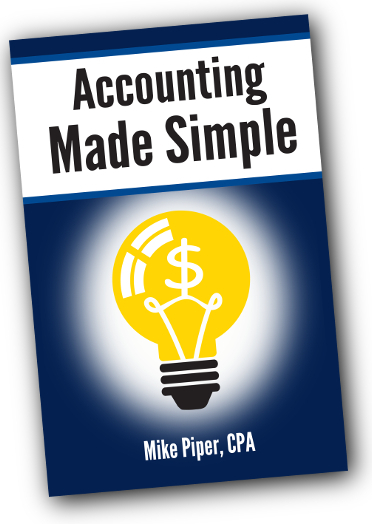 These sample problems are intended as a supplement to my book Accounting Made Simple: Accounting Explained in 100 Pages or Less. Question 1: Define the three components of the Accounting Equation. Question 2: If a business owns a piece of real estate worth $250,000, and they owe $180,000 on a loan for that real estate, what is owners’ equity in the property? Assets: All the property owned by a business. Liabilities: A company’s outstanding debts. Owners’ Equity: The company’s ownership interests in its property after all debts have been repaid. Question 1: Categorize the following accounts as to whether they’re Asset, Liability, of Owners’ Equity accounts. Question 2: Using the above information, calculate ABC Corp’s Operating Income. Question 3:Using the above information, calculate ABC Corp’s Gross Profit. Questions 1-3: Use the following income statement and balance sheet to answer the following questions. Question 1: Calculate the company’s current ratio and quick ratio. Question 2: Calculate the company’s return on assets and return on equity. Question 3: Calculate the company’s debt ratio and debt to equity ratio. Answer to Question 1: Current ratio = 1.5 (30,000 current assets ÷ 20,000 current liabilities). Quick ratio = 0.75 (15,000 non-inventory current assets ÷ 20,000 current liabilities). Answer to Question 3: Debt ratio = 21.4% (60,000 liabilities ÷ 280,000 assets). Debt to equity ratio = 27.3% (60,000 liabilities ÷ 220,000 shareholders’ equity). Chapter 7: What is GAAP? Question 1: Who is required to follow GAAP? Question 2: Who creates the rules for GAAP? Question 3: What is the purpose of Generally Accepted Accounting Principles (GAAP)? Answer to Question 3: To purpose of GAAP is to ensure that companies’ financial statements are prepared using a similar set of rules and assumptions. This helps to enable meaningful comparisons between the financial statements of multiple companies. Question 1: James purchases a $5,000 piece of equipment. Question 2: James writes his monthly check for rent: $3,000. Question 3: James takes out a $25,000 loan with his bank. Question 4: James purchases a $5,000 piece of equipment. Question 5: James writes his monthly check for rent: $3,000. Question 6: James takes out a $25,000 loan with his bank. Questions 1-5: Prepare journal entries to record each of the following events. Question 1: Tom’s Tax Prep’s monthly rent is $3,500. At the end of February, they had not yet received their monthly rent invoice. Question 2: In early March, Tom’s Tax Prep receives and pays their rent bill for February. Question 3: Marla, a marketing consultant, performs services for a client. The agree-upon price was $10,000, due 30 days from the date the services were completed. Question 4: ABC Hardware makes a sale (on credit) for $2,500 worth of lumber. The lumber originally cost them $1,300. Question 5: Julie takes out a $10,000 loan for her business. Repayment is due in one year along with $1,200 interest. Question 1: Andy runs a real estate development firm. Five years ago, he purchased a piece of land for $250,000. This year, an appraiser tells Andy that the land is worth $300,000. At what value should Andy report the land on his balance sheet? Why? Question 2: Andy is the sole owner of his firm. In June, he moves $30,000 from his business checking account to his personal checking account. If Andy wants his financial records to be in accordance with GAAP, should he record the transaction or not? Why? Answer to Question 1: Andy should report the land at its original cost: $250,000. Under GAAP’s “Historical Cost” assumption, assets are reported at their historical cost rather than at their current market value. This is done in order to remove subjective asset valuations from the reporting process. Answer to Question 2: Yes, in order to be in compliance with GAAP, Andy must record the transaction. GAAP’s “Entity Assumption” considers businesses to be separate entities from their owners. As such, transactions between a business and its owners must be recorded as if they were between the business and an entirely separate party. Question 1: Liliana spends $20,000 (cash) on a piece of equipment for use in her restaurant. She plans to use the straight-line method to depreciate the equipment over 5 years. She expects it to have no value at the end of the 5 years. Question 2: After 4 years, Liliana sells the equipment for $4,000. Question 3: Same as question 2, except she sells the equipment for $6,000. Question 4: Same as question 2, except she sells the equipment for $2,000. Question 5: Oscar is a self-employed electrician. He purchases a piece of equipment for $30,000 cash. He plans to use it for 10 years, at which point he plans to sell it for approximately $4,000.He elects to use the straight-line method of depreciation. Question 6: Sandra runs a business making embroidered linens for wedding receptions. She purchases a new piece of equipment for $15,000 in credit. She plans to use the units of production method of depreciation. The equipment is expected to produce approximately 5,000 linens, at which point it will be valueless. During the first year after buying the equipment, Sandra uses it to produce 1,500 linens. Questions 1-2: Prepare journal entries to record each of the following events. Question 1: Trent runs a business as an engineering consultant. He invents a new system for preparing bridges to deal with extreme weather conditions. He spends $28,000 securing a 14-year patent for his invention. He expects the system to be used for the next few decades at least. Question 2: Tina runs a business creating medical supplies for surgeries. Her team develops a new tool for assisting in heart surgery. She spends $42,000 on getting it patented. She receives a 14-year patent, but she only expects the technology to be used for about 7 years before a newer technology comes along to replace it. Question 2-4: Use the following information to answer questions 2-4. Beginning Inventory: 1,000 units at $4/unit. Purchases: 600 units at $5/unit. The first thing to calculate is how many units were sold. In this case, 700 units must have been sold. Now we just have to figure out the cost for each unit of sold inventory. Again, we know that 700 units were sold. Under LIFO, we assume that the most recently purchased units are sold first. Therefore, all 600 of the $5 units must have been sold. The remaining 100 sold units must have been from the older ($4/unit) inventory. Using the Average Cost Method, we have to calculate the average cost per unit of inventory. We know that there were a total of 1,600 units available for sale and that–in total–they cost $7,000. That gives us an average cost per unit of $4.38 (or $4.375 to be precise). Under GAAP, there are two primary methods of keeping track of inventory: the perpetual method and the periodic method. Any business that keeps real-time information on inventory levels and that tracks inventory on an item-by-item basis is using the perpetual method. For example, retail locations that use barcodes and point-of-sale scanners are utilizing the perpetual inventory method. The primary disadvantage to using the perpetual method is, of course, the cost of implementation. The periodic method of inventory is a system in which inventory is counted at regular intervals (at month-end, for instance). Using this method, a business will know how much inventory it has at the beginning and end of every period, but it won’t know precisely how much inventory is on hand in the middle of an accounting period. A second drawback of the periodic method is that the business won’t be able to track inventory on an item-by-item basis, thereby requiring assumptions to be made as to which particular items of inventory were sold.